With PEOs now live on the system. Worklio™ is a new and powerful payroll software made for PEOs, ASOs and Staffing Firms that includes Payroll, HR, Workers’ Compensation, Benefits and more. 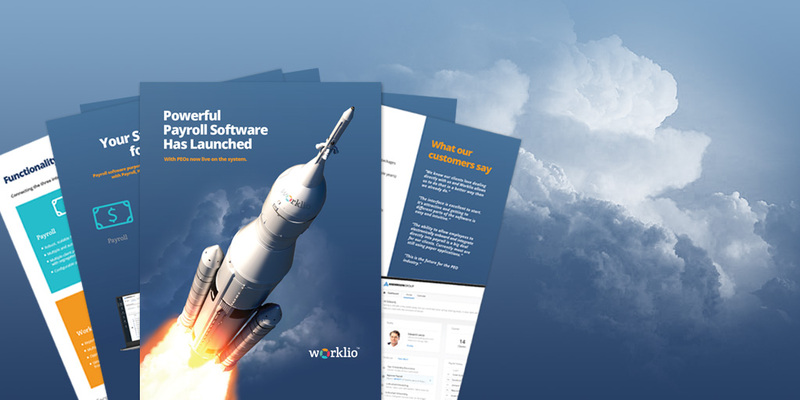 Click here to download a brochure that will introduce you to the Worklio Platform — and show you how it will make your company stronger. The Software-as-a-Service platform is purpose-built with the latest Microsoft® .Net and MS SQL 2017 technology, designed and optimized for the Microsoft® Cloud and available 24 x 7 across all devices. Complex functions are simplified with step-by-step instructions and customization allows for streamlining daily tasks. The design is intuitive and user-friendly to help customers handle the daily challenges of the PEO industry. With several customers already live on the Worklio Platform, and many more signed and scheduled for implementation, Worklio is providing much-needed technological innovation for PEOs to help streamline their businesses. To see the software in action and learn how it can help streamline your PEO business, email demo@worklio.com or call 1-844-996-7554. 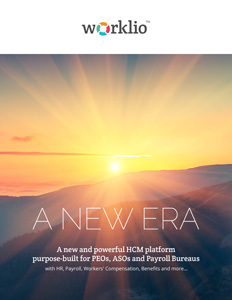 Groundbreaking new payroll platform allowing PEOs, ASOs and Staffing Firms to focus on customer service and growth. BRNO, Czech Republic — Worklio™ has added DecisionHR, a large Florida-based PEO with close to 30,000 worksite employees, to the growing list of companies that have recognized the value of improving their technology with the expansive functionality of the Worklio PEO Payroll Software and Human Resources Information System. “We are delighted to welcome DecisionHR as a major Worklio client. Through the very thorough and extensive evaluation and selection process, we’re delighted that we were able to both demonstrate Worklio’s capabilities and potential and lay a strong foundation for a tremendous business partnership going forward. We look forward to working closely with Peter and the team at DecisionHR in the years ahead,” said Ian Halliday, COO of Worklio. Worklio is a state-of-the-art Payroll and HRIS solution that bolsters all aspects of daily business for Professional Employer Organizations, Administrative Services Organizations and Staffing Firms, including Payroll, HR, Workers’ Compensation, Benefits and much more. The Software-as-a-Service platform is built on the latest Microsoft® .Net and MS SQL 2017 technology platform, designed and optimized for the Microsoft® Cloud, and available 24 x 7 across all devices. DecisionHR is a PEO located in St. Petersburg, Florida, that has been in business for 20 years. It is a full-service human resource outsourcing company serving small and mid-sized businesses nationwide. Worklio will showcase its software with personal demonstrations at the NAPEO 2018 Annual Conference & Marketplace in Phoenix, AZ on Sept. 5-7. Sign up in Booth #415. BRNO, Czech Republic — After a rigorous and comprehensive search, The Doyle Group, an Ohio-based, full-service CPA firm, has decided that its future will be best served with the advanced technology of the Worklio™ PEO Payroll Software and Human Resources Information System. Worklio, which was selected over nine other competitors for The Doyle Group’s business, is a state-of-the-art Payroll and HRIS solution that bolsters all aspects of daily business for Professional Employer Organizations, Administrative Services Organizations and Staffing Firms, including Payroll, HR, Workers’ Compensation, Benefits and much more. The Software-as-a-Service platform is built on the latest Microsoft® .Net and MS SQL 2017 technology platform, optimized for the Microsoft® Cloud, and available 24 x 7 across all devices. The Doyle Group is a mid-sized ASO with over 5,000 Work Site Employees in 150 client companies across five states. It strives to solve all its client’s issues in the accounting spectrum, including tax prep, planning, bookkeeping, and payroll services. “We are delighted to welcome The Doyle Group to the Worklio team. There is a lot of competition for payroll/HRIS solutions and we are thrilled that The Doyle Group selected our solution over nine other competitive offerings,” said Ian Halliday, COO of Worklio. Learn how the software can streamline your business: email demo@worklio.com or call 1-844-996-7554. Worklio is a powerful new payroll software purpose-built for PEOs, ASOs and Staffing Firms. The configurable platform includes Payroll, HR, Workers’ Compensation, Benefits and more. Worklio provides an intuitive and user-friendly Software-as-a-Service platform to help customers handle the daily challenges of the PEO industry. For more information, go to www.worklio.com. 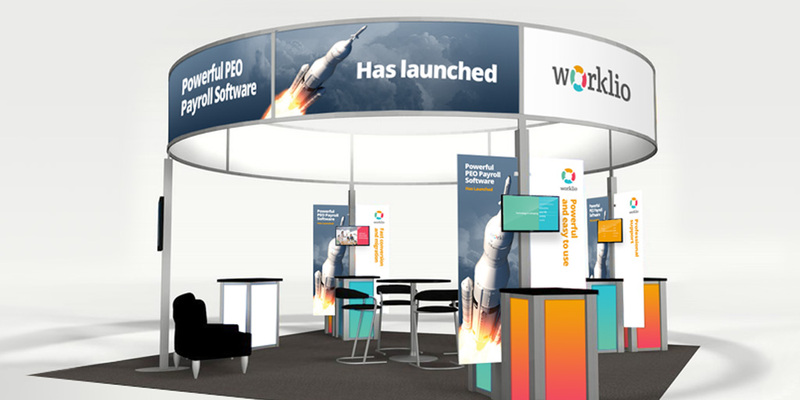 Here is your chance to learn about the future of the PEO Industry: Worklio™, the next generation of Payroll & HRIS Software, will be located in Booth No. 415 at the NAPEO Annual Conference and Marketplace in Phoenix, Ariz., on Sept. 5-7 and personal demonstrations of the software will be available. As an added bonus, if you sign up for a demo, you will get a chance to win an Amazon Echo Show with personal-assistant Alexa. Worklio is a state-of-the-art Payroll software and Human Resources Information System that bolsters all aspects of daily business for PEOs, ASOs and Staffing Firms, including Payroll, HR, Workers’ Compensation, Benefits and much more. The Software-as-a-Service platform is built on the latest Microsoft® .Net and MS SQL 2017 technology platform, designed and optimized for the Microsoft® Cloud, and available 24 x 7 across all devices. 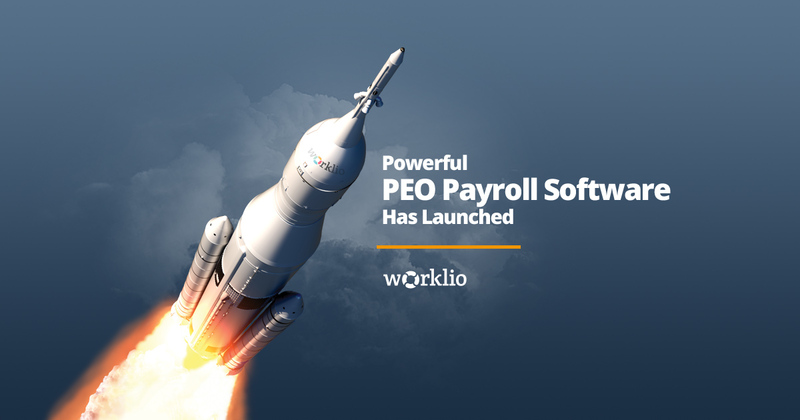 If you can’t wait to see the software in action and learn how it can help streamline your PEO business, email demo@worklio.com or call 1-844-996-7554. Technology is the “Strategic Weapon for the Future” and Worklio™ COO Ian Halliday will show how it can be harnessed to save money, increase productivity and prepare PEOs for the coming “new normal” of the industry when he addresses the PEO Technology Showcase in Chicago on Wednesday. The Technology Showcase is an added bonus for attendees of the NAPEO CFO Seminar, which will be on Thursday and Friday. Both the half-day Showcase and the two-day seminar will be at the InterContinental on the Chicago Magnificent Mile. The Showcase is only open to seminar attendees and current NAPEO members. The PEO Technology Showcase begins at 1 p.m. Six companies will have 30-minute presentations. The Worklio demonstration — “Technology – Your Strategic Weapon For The Future” — starts at 2 p.m. Halliday will touch on three aspects of how technology will change the PEO industry: internally, externally and with relevant and timely information for management. Additional information will be available as part of the PEO Technology Showcase Roundtables & Reception from 6 to 7 p.m.
To see the Worklio software in action and learn how it can help streamline your PEO business, email demo@worklio.com or call 1-844-996-7554. Worklio™ — the new and powerful payroll software platform that is purpose-built for PEOs, ASOs and Staffing Firms — is expanding its sales, support and coverage capabilities with the addition of industry veteran Angela Kusko. Industry leader Angela Kusko has been hired as Vice President, Customer Success, to provide U.S.-based support for Worklio™, the new and powerful payroll software platform that is launching after several years of research and development. Angela comes to Worklio™ with more than 20 years of experience in the PEO industry. 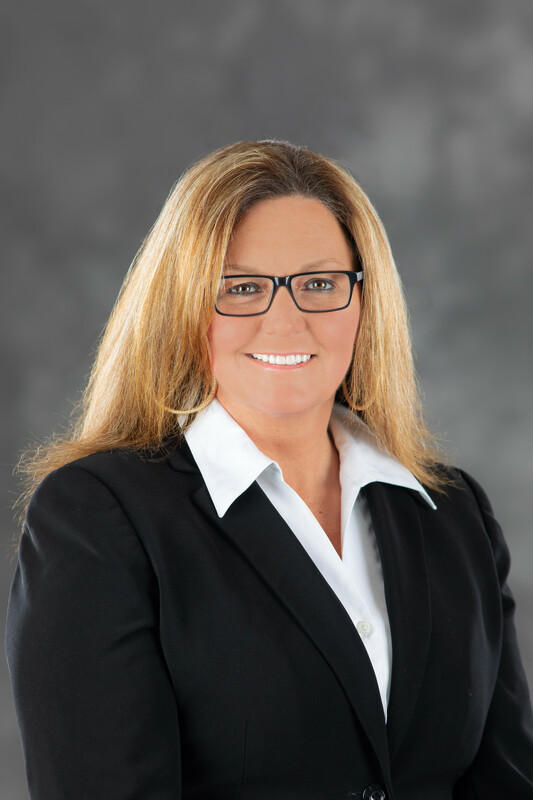 She has run operations for PEOs across the United States and has worked in every department, which allows her to align better with customers’ specific needs in the sales process. Angela also has more than eight years of experience in running a PEO payroll software company. Her PEO operational experience, combined with her technical experience, gives her a unique perspective on the payroll software industry. Worklio™ is a new and powerful payroll software purpose-built for PEOs, ASOs and Staffing Firms. The configurable platform includes Payroll, HR, Workers’ Compensation, Benefits and more. Worklio™ provides an intuitive and user-friendly Software-as-a-Service platform to help customers handle the daily challenges of the PEO industry. For more information, go to www.worklio.com. Worklio™, a new and powerful payroll software platform purpose-built for PEOs, ASOs and Staffing Firms, has hired Alan Nansel as Vice President, Implementation Services, to help lead the conversion efforts for a long and growing list of customers. Nansel has decades of experience as a hands-on leader for payroll services and HR systems in the PEO industry. 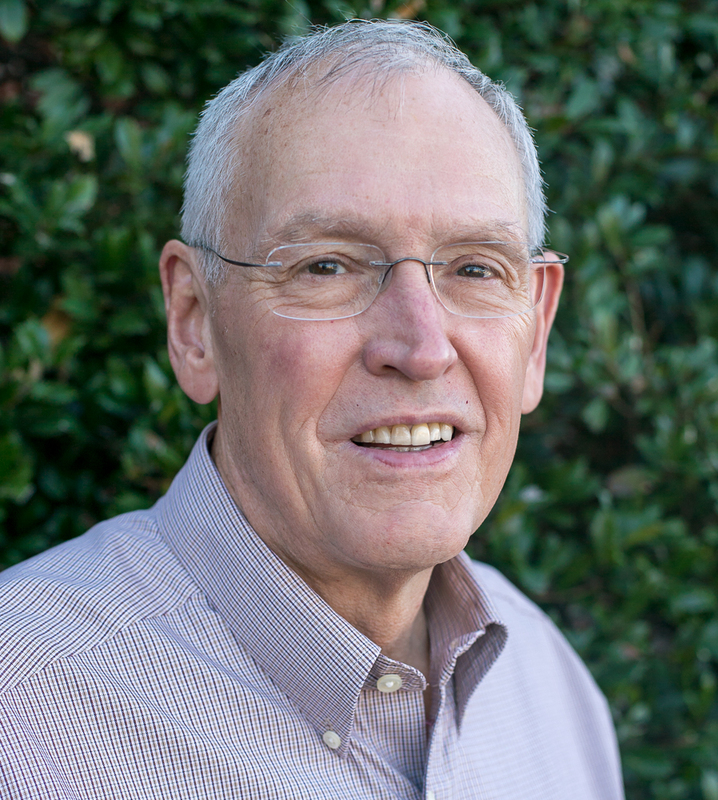 His specific expertise is in the transition and migration of complex systems and data conversion. Specifically, Nansel worked for Summit Software, later PrismHR, as a Business Analyst, Technical Project Manager and Database Manager. He has vast experience with Apex, a payroll processing software, and other payroll software systems. Worklio™ is a new and powerful payroll software purpose-built for PEOs, ASOs and Staffing Firms. The configurable platform includes Payroll, HR, Workers’ Compensation, Benefits and more. Worklio™ provides an intuitive and user-friendly Software-as-a-Service system to help customers handle the daily challenges of the PEO industry. For more information, go to www.worklio.com. We have all seen the articles about what a PEO should do to increase its security. Demand unique passwords. Enforce proper procedures. Use certified and secure software. Maintain the latest databases. Keep data breach insurance. It is simply the cost of doing business. In fact, Bloomberg Technology expects that worldwide spending on security-related hardware, software and services will jump from $73.7 billion in 2016 to near $90 billion in 2018. Yet, nobody will feel 100 percent safe. Nor should they. So, what should you do if your PEO or a client has been the victim of a data breach? 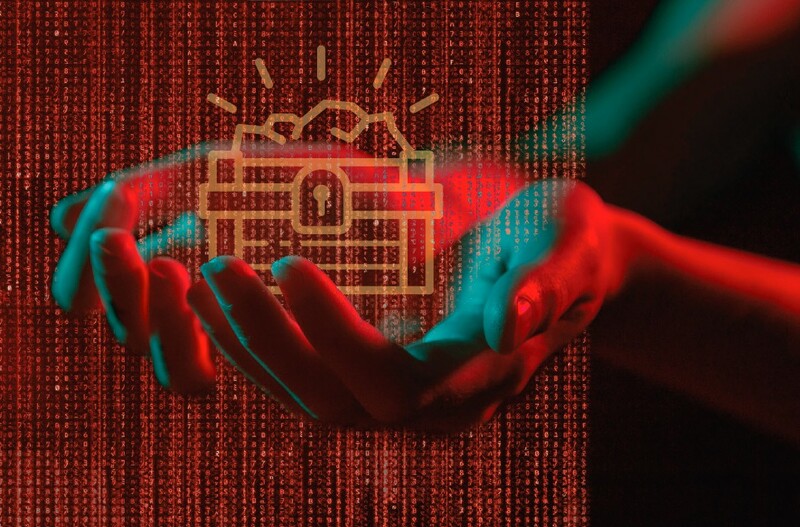 Zdeněk Valach, the Chief Technology Officer of Worklio, addressed the worst case with an article in the March issue of PEO Insider, laying out a step by step guide for dealing with a data breach. Click here to see a reprint of the article. If you do not have a Data Breach Response Plan, now is the time to create, test and implement one. There are many resources that provide basic templates to assist with this task or you can partner with a data breach resolution advisor. Expert help to create a professional Data Breach Response Plan is worth the investment. For more details, go to the Federal Trade Commission or go to the Better Business Bureau. Where there was ancient software, there is now modern technology. Where there was cluttered design, there is now an intuitive user-friendly interface. Where there were complicated daily tasks, there is now customizable simplicity. And where there was slow and frustrating “customer service”, there is now step-by-step professional help available when you need it. Worklio™ is a new company that will infuse the PEO industry with a new source of power. The Worklio™ system connects the PEO, its client companies, and their worksite employees in a comprehensive Human Capital Management (HCM) solution. Everything is compatible. All of the data is consistent. And everything exists in an enclosed, integrated, configurable, and secure system. The Software-as-a-Service platform is custom-built on the latest Microsoft .Net and MS SQL 2016 technology platform, designed and optimized for the Microsoft® Cloud, and available 24 x 7 across all devices. The design is intuitive and user-friendly, making information easy to find and procedures simple to understand. Complicated functions are simplified with step-by-step instructions and customization allows for streamlining daily tasks. Customer Support is always available and professional. Worklio: A new beginning for the PEO industry. Worklio™ is a new source of power and capability for the PEO industry. It is the dawn of a new era. The Worklio™ system connects the PEO, its client companies, and their worksite employees in a comprehensive Human Capital Management (HCM) solution. Everything is compatible. All of the data is consistent. And everything exists in an enclosed, secure system. The Software-as-a-Service platform is custom-built on the latest Microsoft® .Net and MS SQL 2016 technology platform, designed and optimized for the Microsoft® Azure Cloud, and available 24 x 7 across all devices. The Worklio™ solution is based on a solid foundation built exclusively for PEOs: Payroll Administration, Workers’ Compensation, Customized Reporting, Analytics and Intelligence, Benefit Management Tools, Human Resources, Electronic Onboarding, Billing, Job Costing, General Ledger and Accounting Integration, and Mobile Applications. The design is intuitive and user-friendly, making information easy to find and procedures simple to understand. Complicated functions are simplified with step-by-step instructions. Customization allows for streamlining daily tasks. Customer Support is always available and professional. The Worklio™ system saves time through efficiency, saves money through consolidation and integration, and makes business more successful through collaboration. 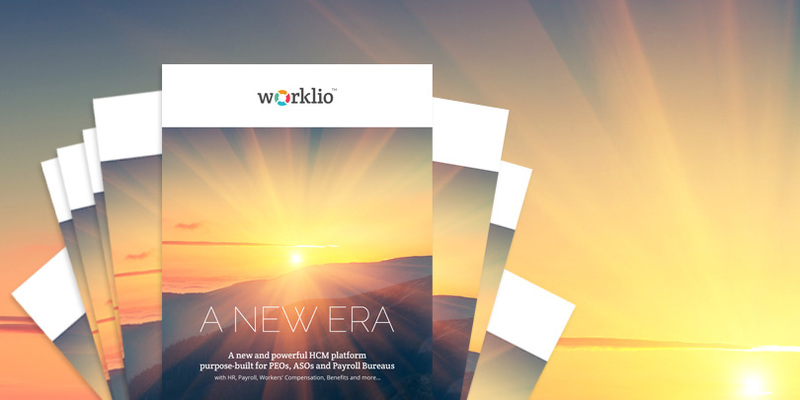 Worklio™ — a new beginning for the PEO industry. Worklio will introduce its modern and powerful HCM platform to the PEO market at the NAPEO 2017 Annual Conference & Marketplace this week at the JW Marriott Orlando Grande Lakes in Orlando, Fla. The Worklio booth is #706/708. For more information, go to worklio.com .